Andrew Bogle was a Black slave on the Hope Estate in St Andrew, Jamaica. He was born about 1801, but nothing is ever said about his parents. I first discovered Andrew Bogle while looking for material on another 19th century Black Jamaican, the Anglican priest, Robert Gordon. Almost certainly Gordon was the first (though not the only) Black Anglican priest in 19th century Jamaica, and I have spent some time finding out more about his life. On this occasion I was waiting for some books to come for me in the round Reading Room at the British Library in Bloomsbury, and to fill in the time I looked in the catalogue for something Gordon might have written, but not really expecting to find anything. What I did find was a sermon he had preached in 1872 and then published in 1874, which was inspired by the misdeeds of a certain Arthur Orton, who came originally from Wapping in the East End of London, where Gordon had been a curate for several years. Although the name Orton rang a very faint bell, I really had no idea who he was; a little checking revealed him as the man believed by many to have been the 'Tichborne Claimant'. I read on a little about this famous 19th century case of a supposed impersonation of the heir to a baronetcy and large estates; to my surprise I found that one of the chief witnesses supporting the Claimant, was a Black man called Andrew Bogle, who had apparently been a slave on the Hope Estate in St. Andrew, Jamaica. Naturally I had to find out more about him, and I started on what turned out to be a fascinating and very absorbing search which stretched over three summers in England. To understand Bogle's story, it is necessary to know something of the Tichborne family, and the extraordinary case in which they were involved for years in the mid-19th century. The Tichbornes had been in Hampshire since Saxon times, before the Norman Conquest in 1066. In the early 19th century they figured as one of the most prominent Roman Catholic families in England, who had maintained their lands and status through two centuries of penal laws and exclusion from national life. The case of the Tichborne Claimant arose because of the death of Sir James Tichborne and the succession to the Doughty Tichborne properties and baronetcy of his younger son, Alfred. His elder son, Roger, had been reported dead in 1854 as the result of the wreck of the ship 'Bella' early in its voyage from Brazil to New York (the 'Bella' would have called at Kingston, Jamaica but for the wreck). Sir James' widow, who had been brought up in France, never believed that her son was dead. She firmly expected him to reappear, possibly in Australia; there was a rumour that some of those thought lost on the 'Bella' had in fact been picked up by a ship bound for Melbourne. She made enquiries in Sydney, through an agent who advertised in the newspapers, and in 1866 her faith was apparently rewarded. A man, who had worked in the gold-fields and was currently living in Wagga Wagga, appeared in Sydney claiming to be the long-lost heir. He was positively identified by two former servants of the Tichborne family, who were living in Sydney. Later in 1866 the Claimant returned to England to try to convince the Tichborne family that he was in fact Roger Tichborne, an attempt which ultimately proved disastrously unsuccessful. On his return to England the Claimant was accompanied by one of those who identified him in Sydney - Andrew Bogle, the Black Jamaican, who had been, before his retirement, the valet of Roger Tichborne's uncle, Sir Edward Doughty Tichborne. confirming the connection with Edward Tichborne, who was at the time managing the estate. Although later Bogle spoke of being taken to England on two occasions by Tichborne, letters written at the time only seem to refer to one occasion, when he was taken without any notification or payment. Tichborne's high-handed action clearly caused some annoyance on the part of the Duke's agents. In England Bogle began his work as Edward Tichborne's valet by accompanying his master on his honeymoon in Europe with his new bride. On their return the couple lived at Upton Park near Poole in Dorset. Tichborne had by now changed his name to Doughty, in order to inherit the extensive possessions of a distant cousin. Upton Park is a very pleasant house and property, which today is a leisure centre. Here Bogle worked for over a decade, becoming well-known in the district. Under the influence of his employers he became a devout Roman Catholic, and with them must have welcomed with mixed feelings King Charles X of France, who began his exile in England in 1830 by arriving at Poole Harbour. Edward Doughty was among the local Catholic gentry who accompanied the King to his temporary residence at Lulworth Castle. While at Upton Bogle met and married Elizabeth Young, a nurse with Mrs Doughty's family. Andrew and Elizabeth were married in the local Anglican Church at Great Canford, as in 1836 Catholic marriages were still not valid. The couple had two children, John born in early 1837 and Andrew born in 1838. Elizabeth Bogle died of 'inflammation of the lungs' in 1845 and was buried in the churchyard at Hamworthy, near Poole. Local tradition holds that Andrew Bogle was also buried there, but there seems no basis for this belief. Nothing is revealed as to Elizabeth Young's background, except that the census record of 1841 states that she was not born in Dorset (possibly she was born in Wiltshire where Mrs Doughty came from). In the same entry Andrew Bogle's foreign birth is noted. Without other evidence it has to be assumed that Elizabeth was English, and White, however unlikely that seems. 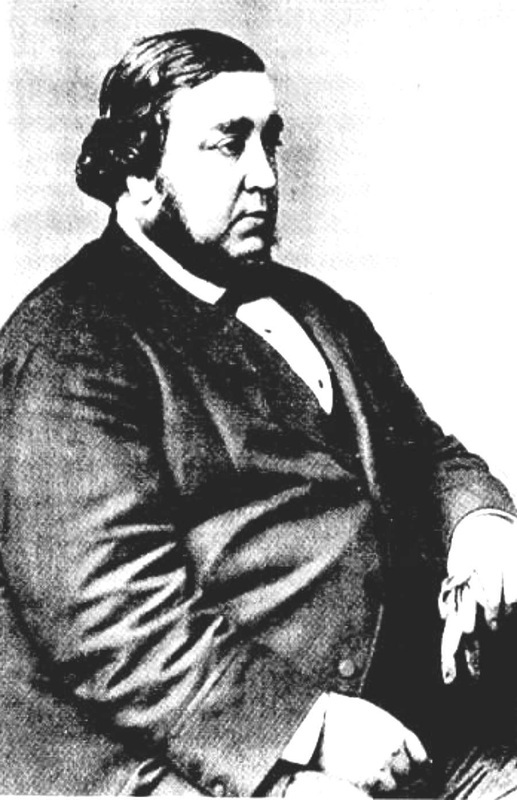 In 1845 Edward Doughty inherited the Tichborne baronetcy when his elder brother died without a male heir. Some time after this the family left Upton Park and moved to Tichborne House, near Arlesford in Hampshire. Here Bogle continued his service with Sir Edward, who still lived the fairly retired life that he had pursued in Dorset. His two sons were sent to a Catholic school near Reading. In January 1852 they wrote a letter to Sir Edward and his wife thanking them for a Christmas gift; the main part of the letter is in neat 'copperplate', while the greeting to their father, added as an afterthought, is in a much more informal hand. In 1853 Sir Edward died, and, after trying to cope with the changed situation, Bogle asked to be allowed to retire and to receive the pension Sir Edward had promised. Although there was no provision for this pension in Sir Edward's will, Lady Doughty agreed to pay it. Bogle had decided to emigrate to Sydney, Australia, but no reason was given for this decision. Another Tichborne retainer, Guilfoyle, was already there and perhaps had recommended the venture. Before he left various matters were taken care of. His elder son, John, was apprenticed to a chemist in Nottingham, with the help of the Tichbornes. This arrangement did not work out well, as John behaved very badly to his master and had to be bought out of his apprenticeship. He was sent out to join his father in 1855. Before leaving for Sydney, Bogle married again, at St Peter's Roman Catholic Church in Woolwich. His second wife, Jane Fisher, daughter of a soldier and born in Dorset, had been a school teacher at the village school at Arlesford. This time it seems certain that Bogle was marrying a White English woman. In Sydney, Bogle for a time kept a restaurant, and his sons started on careers; John continued as a chemist and Andrew junior became a barber and hairdresser. A third son, Henry George, was born in 1856. However, in 1858, a common family tragedy befell Bogle. His wife, then aged 43, gave birth to another son, Edward, and died three weeks later of 'uterine hemorrhage'. Edward only lived for two months, dying, according to the death certificate, of 'loss of mother's milk' and thrush from birth. John and Andrew junior remained in Sydney, and both married, Andrew in 1864 and John much later, in 1883. Andrew fathered a family of eleven, including two pairs of twins, and died in 1886; John probably had no children. Their father began to suffer severely from rheumatism. Bogle remained in contact with the Tichbornes and knew that Roger's mother believed that he might be in Australia. He later said that he kept a look out on the streets of Sydney, in case Roger ever turned up there. Then, in 1866, a man did appear, claiming to be the lost heir, and was quickly identified by the two former Tichborne servants. Later Guilfoyle had doubts, but Bogle maintained for the rest of his life that the Claimant was genuine. The first problem that is raised by these identifications is whether the Claimant skilfully pumped the two servants for information, or whether he really already had private family information which made his claim credible. Also the question arises as to whether Bogle entered into a conspiracy with the Claimant to defraud the Tichbornes, or was deceived by a plausible rogue, but was never able to admit it to himself. Most of the Tichbornes believed in a conspiracy, as does the recent film made about the case, but the rest of the world was never able to make up its mind. In the event, Bogle and his youngest son Henry travelled to England with the Claimant. Bogle's son Andrew advanced money to pay for his father's 2nd class passage; the Claimant and his wife and children travelled 1st class. Bogle suffered greatly from rheumatism throughout the voyage, and was very relieved finally to arrive in London. In England Bogle lived and travelled with the Claimant, visiting Tichborne relatives and residences in both France and England. He was viewed as a staunch supporter of the Claimant, and thus found himself spurned by most of the family. His £50 a year pension was stopped. When, after various civil proceedings, criminal charges of perjury were brought against the Claimant, Bogle was a key witness for the defence, being perceived by most people as an honest old man, who had at worst been duped. His son, Henry, was the Claimant's constant companion and assistant throughout the trial. 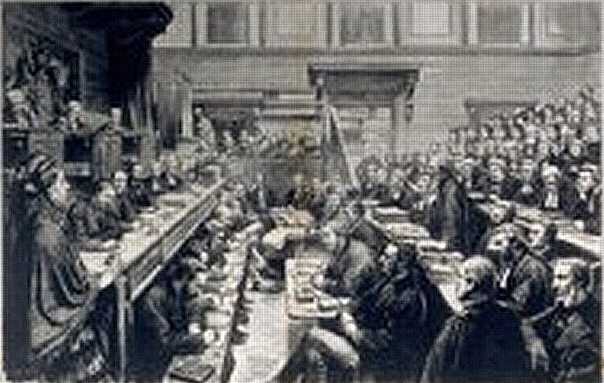 The trial was the longest on record in England to that date, lasting for 188 days. Large numbers of witnesses were called, and ultimately it became clear that the case against the Claimant was too strong to be successfully contested; the jury found him guilty. "Orton', as he was assumed to be, was sent to prison for 14 years, and two witnesses who were believed to have connived with him were sentenced to lesser terms. But Bogle was held to be blameless. The Lord Chief Justice, Cockburn, believed that Bogle had been honest in his evidence, though mistaken, and urged the Tichbornes to restore his pension. There was much argument before they gave in; they wanted a public confession of Bogle's involvement, but he steadfastly refused to change his stand. His last years were not happy; he was in very straightened circumstances and the Tichbornes even tried to involve the Archbishop of Westminster in putting pressure on him to change his story. His son Henry stayed with him until the end. 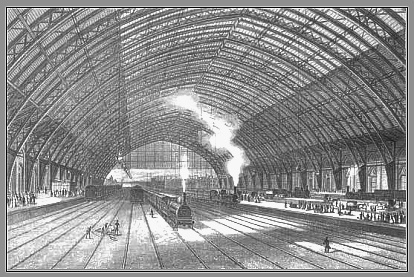 He died in the London district of St. Pancras in 1877, and seems to have been buried in a pauper's grave. No record of a funeral or burial has so far come to hand. 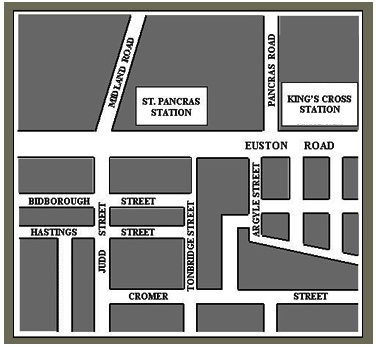 Most days that I went to the British Library to do research, I walked along Euston Road from King's Cross Underground Station. It was some time before I realised that each time I took this route I was crossing the end of Argyle Street, the street where Andrew Bogle had been living at the time of his death some hundred and twenty years before. Many of the buildings on Argyle Street are more recent than the 19th century, and the Bogle's 1870s address is at one of those newer buildings. For this research I used a variety of sources, chiefly in the UK. At the UWI Library I found microfilm of the slave lists for the Hope Plantation, and the letters which were exchanged mentioning Edward Tichborne's removal of the young Bogle from Jamaica. In the UK at the Family Record Centre, and elsewhere, I used civil and church records for births/baptisms, marriages and deaths/funerals, and 19th century census records, which were also useful. Similar civil registrations were obtained from the Family History Services in New South Wales, Australia. I was able to have access to Tichborne family records, in Record Offices in Hampshire and Yorkshire, which yielded a number of very interesting letters, as well as other types of documents. Printed material included contemporary newspapers and pamphlets, the Claimant's lawyer's extensive verbatim report of the last trial and a number of books dealing with the case; all of these are in the British Library. I am still very much interested in Andrew Bogle and his family, and I would be very grateful for any further information that any reader of this article comes across.